Depression is not an equation, a metaphor, a dream. We Depressees, have to defend our memoir, our right to hurt. But, when the noose is wrapped around the last minutes of life, Depression becomes dangerous. A syndrome of something more then recognized sadness. I’ve endured Depression since I was eight. Mental Institutions, anti-depressants, three Suicide attempts, seven Psychologists, and two Psychiatrists. I don’t have an explanation, but I know it’s better than this witty lyrical display of expiration. Rilke, you were only driven under by love. Love is a choice, an excavation for loneliness. 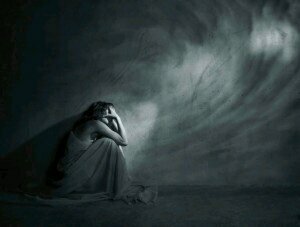 Depression is the agony of the unseen, a valley of memories, an imbalance of the most powerful device. By worldprosechronicles in Uncategorized on August 24, 2013 .